Three Women Press, 9780984867103, 329pp. Ruth Hardaway has had one passion all her life: books. For the last thirty years she's devoted her life to her store, The Book Lover, trying to bury her painful past. But now the store is in jeopardy, and the past is catching up with her. Lucinda Barrett has lost everything in a life shattering betrayal. Desperate, she goes after one last dream - to be an author. Alone and broke, she embarks on a thousand mile journey, from bookstore to bookstore, eventually landing on Ruth's doorstep. Ruth takes Lucy under her wing, championing her book and even offering her refuge at a nearby lake cabin. She wants one small favor in return, for Lucy to keep an eye on her son, Colin, who's recovering from a war injury. As the two women grow closer, Lucy strikes up an unlikely friendship with Colin. And she begins to think of Ruth as the mother she's always wished for. For Ruth, Lucy is the one person she can confide her secrets. Or so she thinks. As each woman begins to face her past, and the repercussions that still haunt her today, happiness finally seems within their grasp. But neither has any idea that their toughest decisions lie ahead. Or that their friendship is about to fall apart - because of a little white lie. Maryann McFadden's first two novels, The Richest Season and So Happy Together, were honored as a oeIndie Next Picks, a  chosen by an association of independent booksellers from across the country. She has worked as a freelance journalist, realtor, and photographer and currently teaches at a local community college, coaches writers, and, of course, writes novels. One day a week she also babysits her four young granddaughters while her own daughter teaches writingAfter receiving a degree in English from Rutgers University, she stayed at home raising her children and worked for nearly 10 years as a freelance writer contributing to a variety of newspapers and health magazines like Working Woman and Women's Sports and Fitness. Needing a change, she put her writing aside and immersed herself in business and pursued a career in real estate for the next 15 years. She loved the contact with people that her work provided and her clients' stories and dreams became the grist for her later writing career. So she returned to graduate school and received a Master's Degree in Literature with a Concentration in Writing.The story behind the publication of her first novel, The Richest Season, is one that will resonate with so many first-time novelists and spans many years of overcoming agent and publisher rejections, refusing to accept failure, coming very close to giving up, then self-publishing the book, orchestrating her own book launch, pounding the pavement to convince independent booksellers to stock a self-published book on their shelves, conducting countless book signings and talks, addressing 40 book clubs in 10 states, and exhausting every marketing possibility for her book. She did not quit. And finally, overnight success: a New York agent loved her book and sold it at auction to Hyperion. 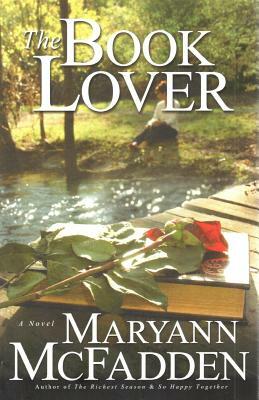 Maryann received a two-book hardcover deal; Random House in Germany followed with German rights, and Mondadori made a deal for Italy. When a writer's blog referred to her good luck as a oewinning the literary lottery, a  Maryann responded, a oeI had to laugh. Because it implied that getting published was as simple as buying a ticket and waiting for a number to be drawn. Hah! If only it were that easy. My ordeal in trying to get my novel taken spanned 6 years in total.a Maryann is proud of her two children, Patrick and Marisa, and her four granddaughters, Alice, Lily, Julia, and Phoebe. She lives in Northwest New Jersey where she is working on her fourth novel.